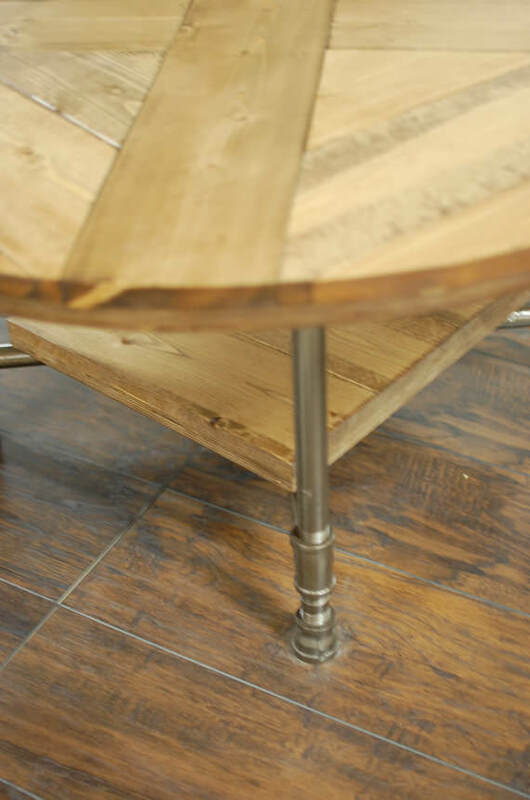 We got a little fancy with the top on the Rachela table. 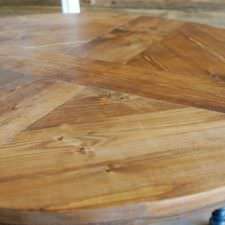 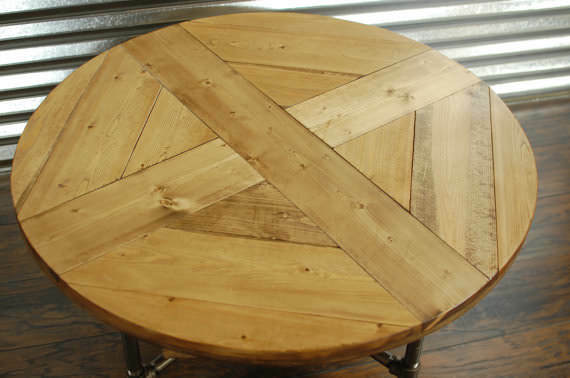 This top has a cross in the middle and additional pieces that make up the rest of the table. 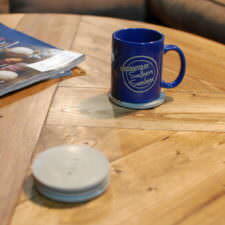 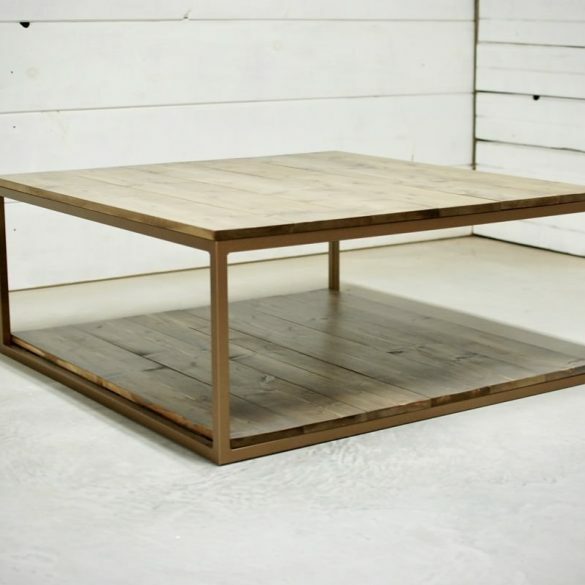 We added a shelf to this popular table for some extra storage space. 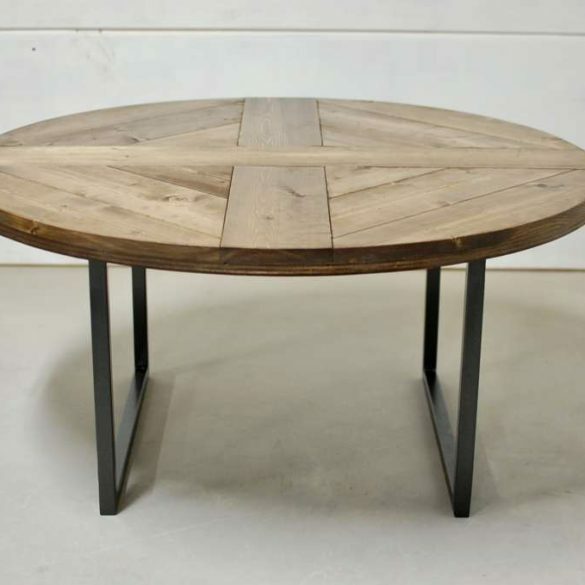 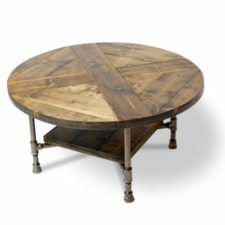 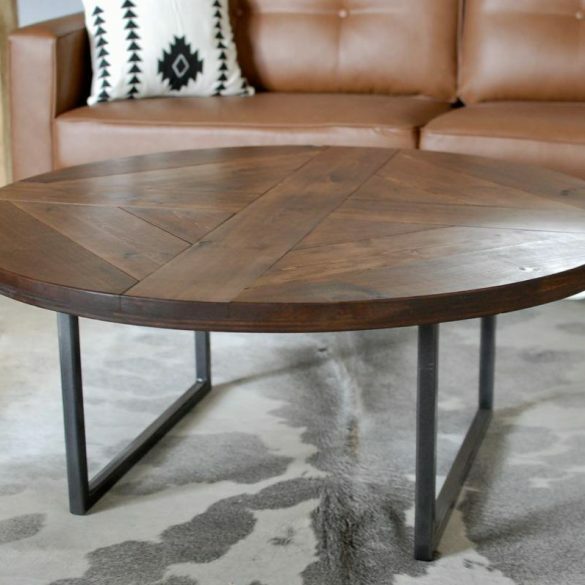 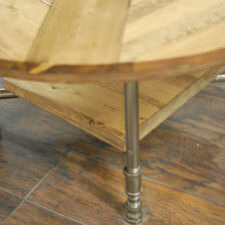 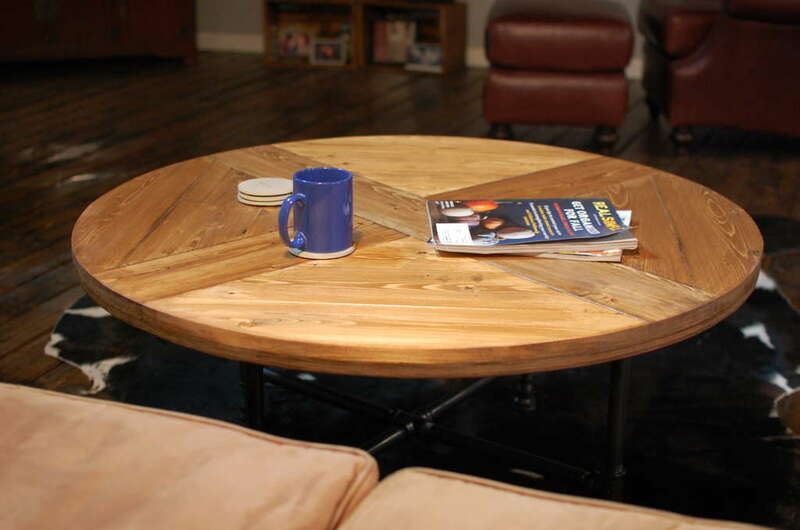 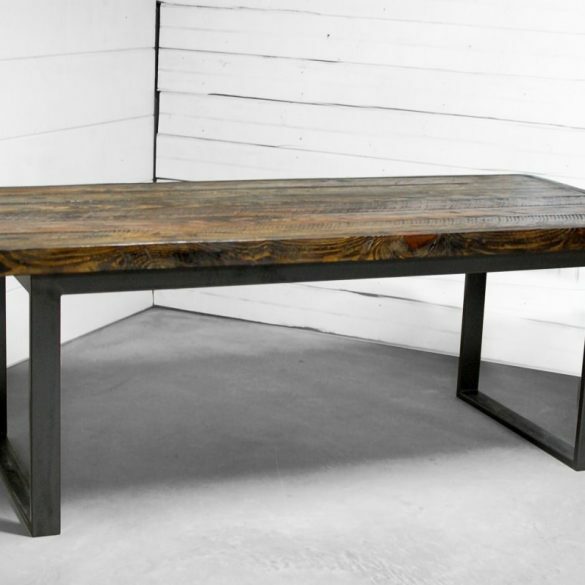 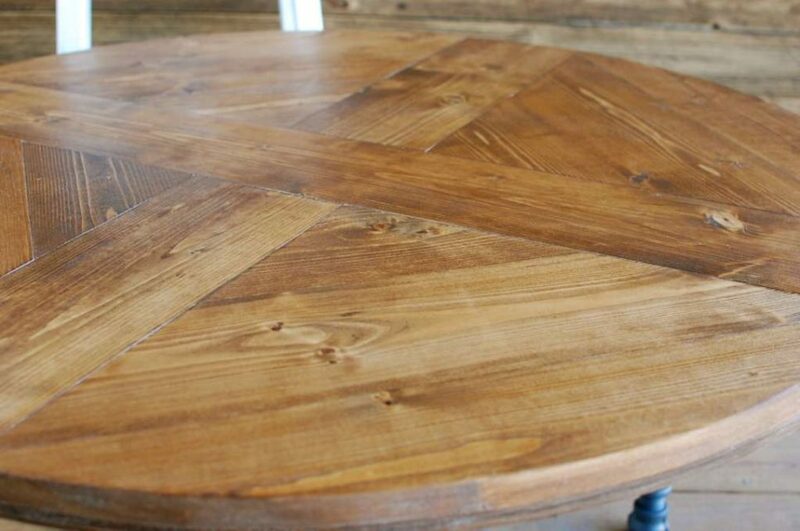 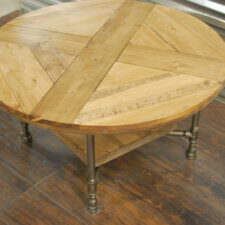 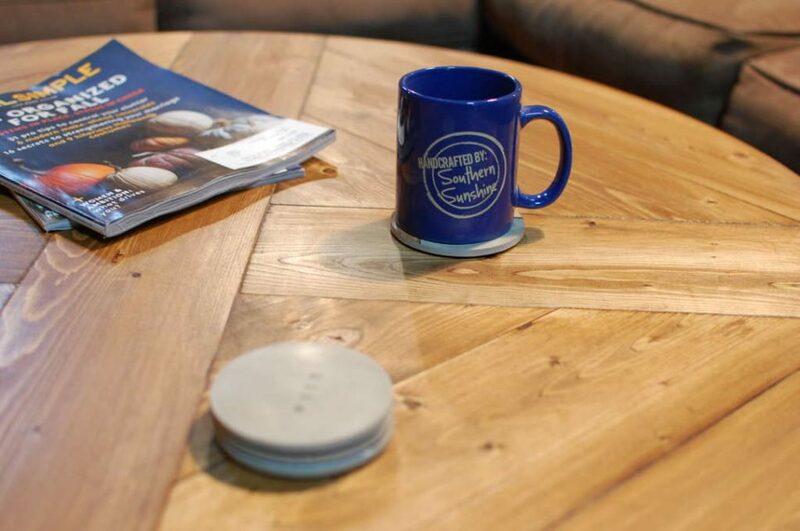 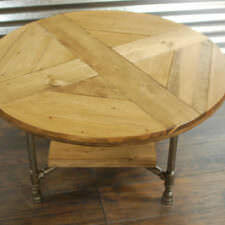 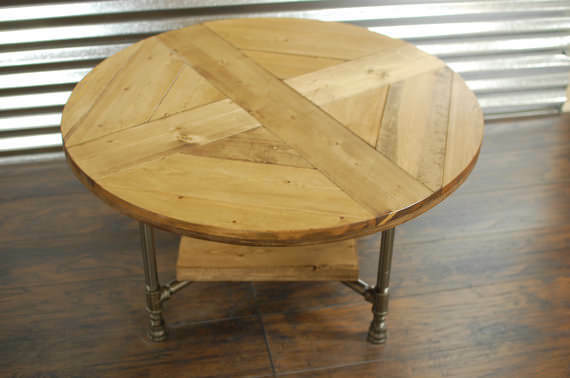 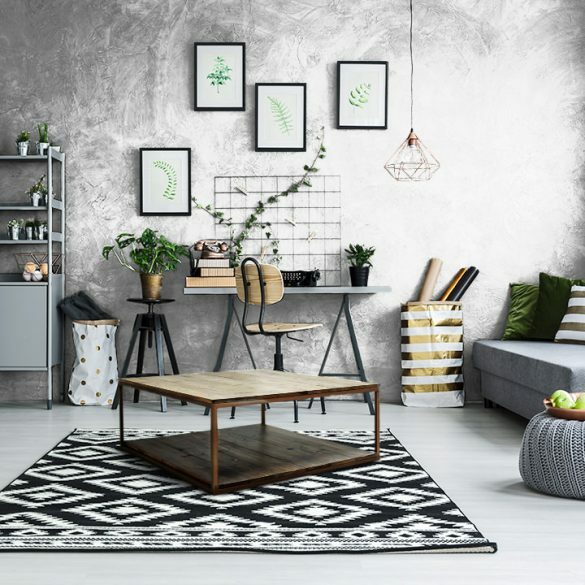 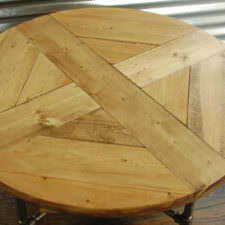 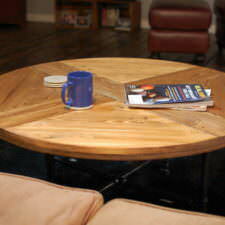 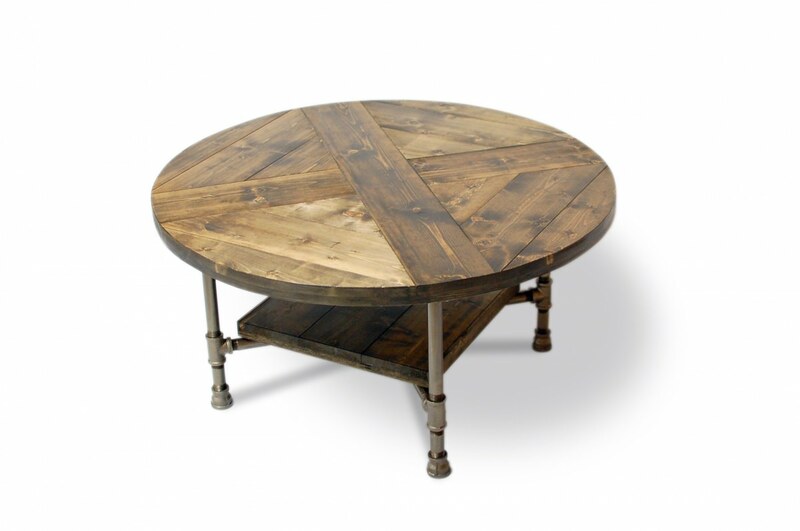 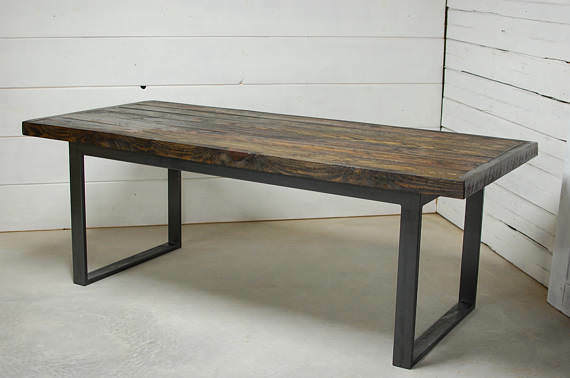 Gives a “modern feel to a rustic piece.” This table adds a great natural, rustic look to your home decor. 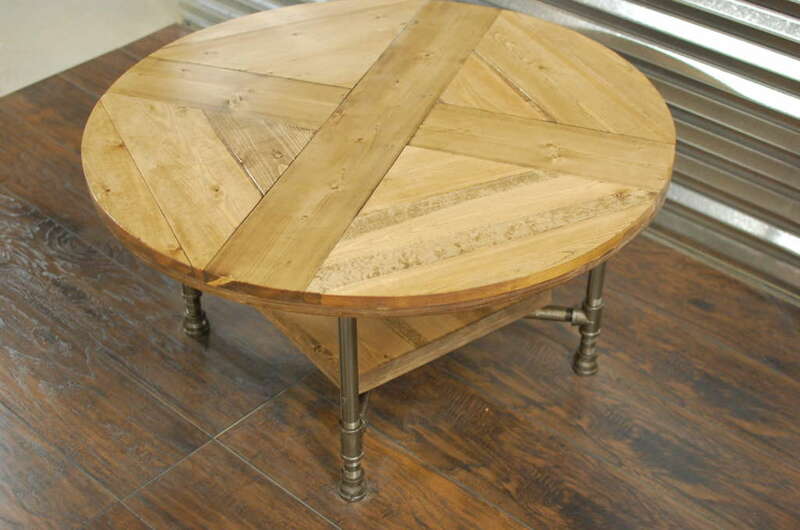 We stepped up the Rachela with a wood cross design for the top and threw in a shelf for extra space. Great piece to add a little rustic flair to your home decor. 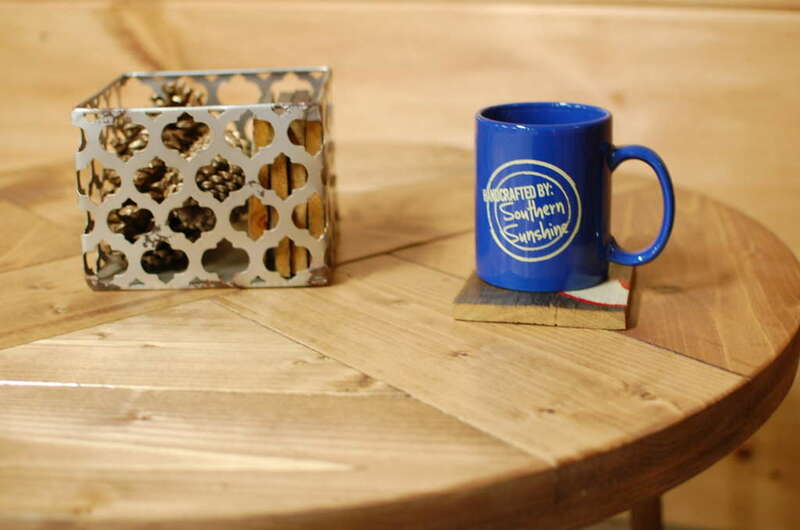 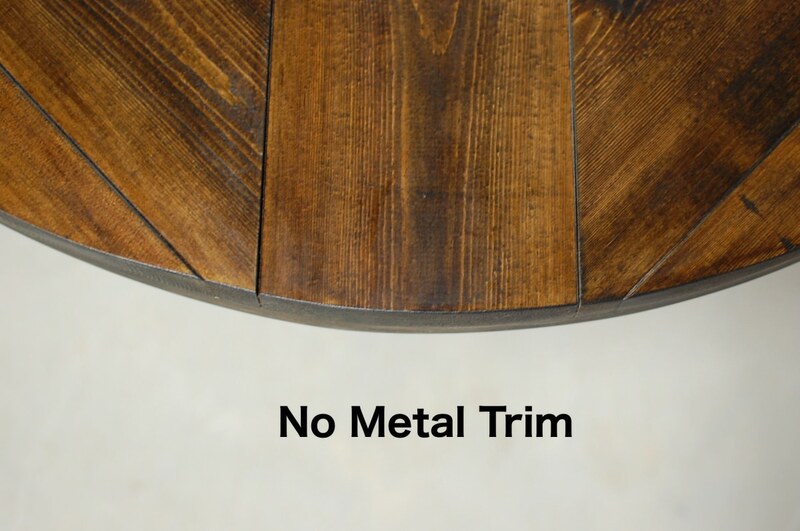 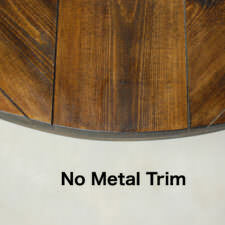 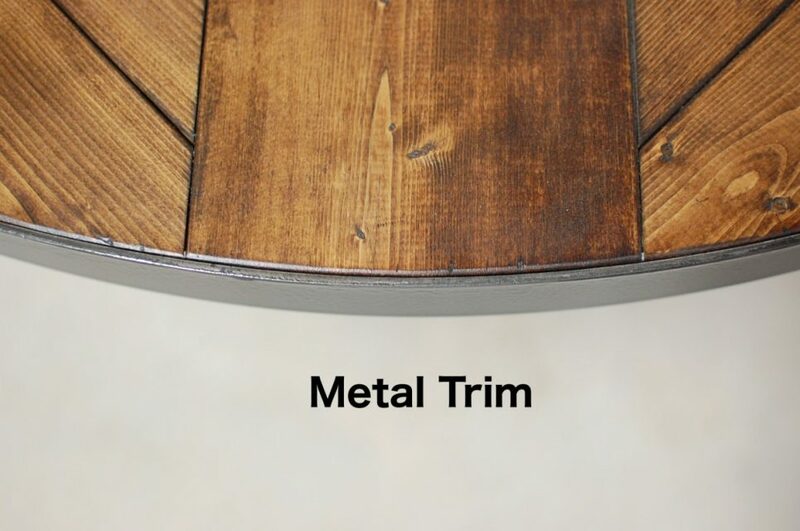 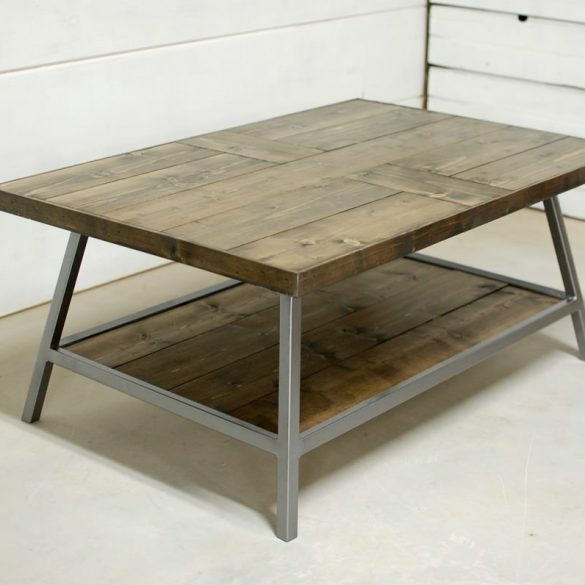 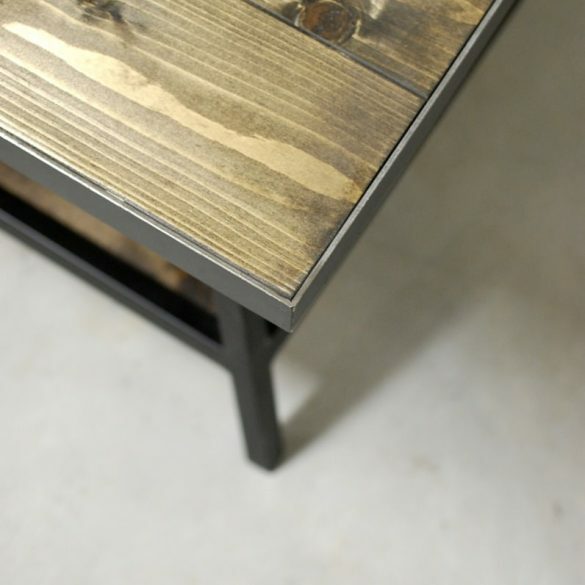 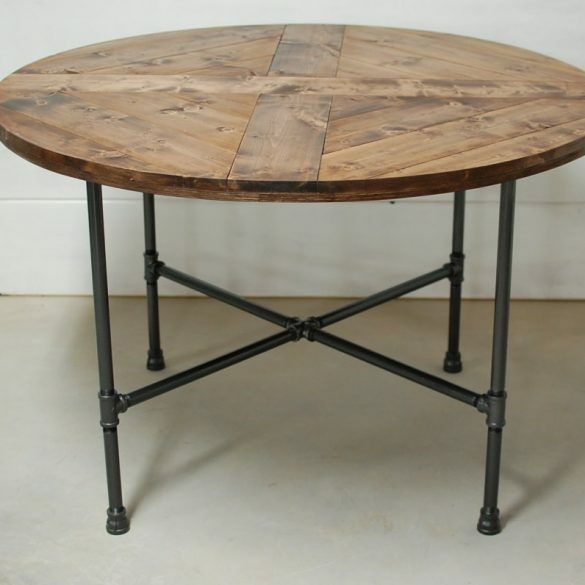 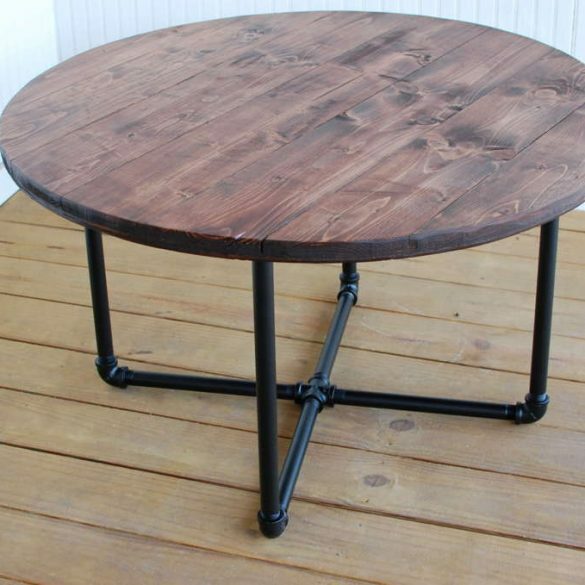 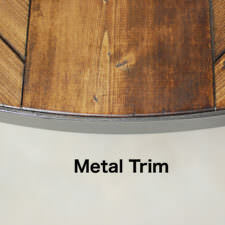 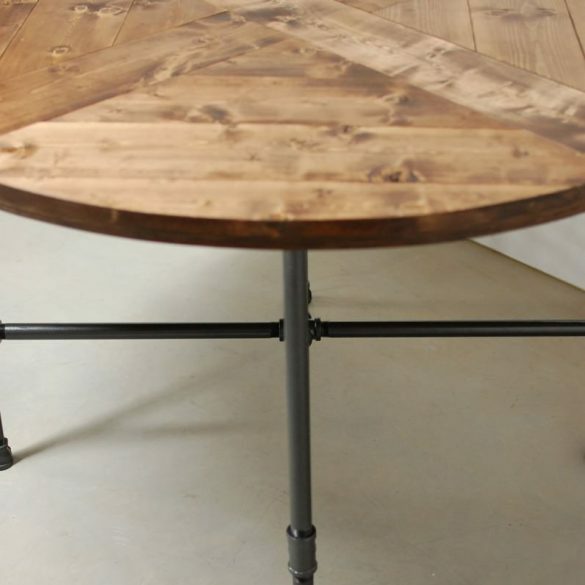 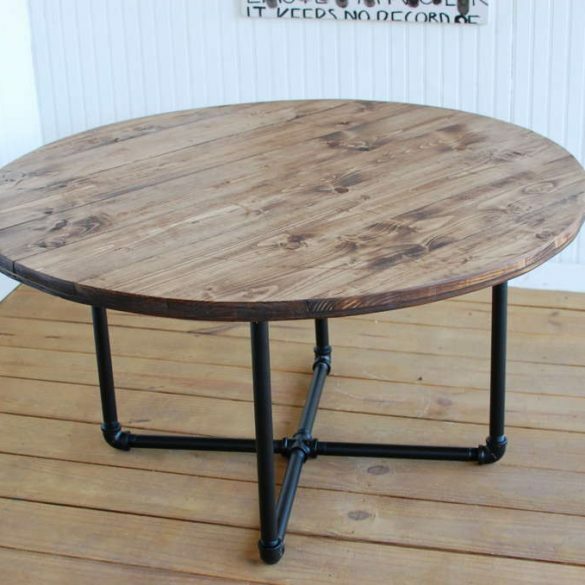 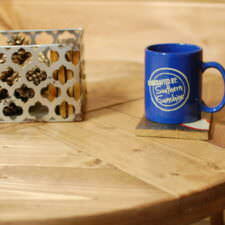 Also add metal trim around the wood table to give it an extra pop of industrial flair.